Trendspotting requires anticipating overlapping levels of influence from the Long term (10 years) that looks at the possible evolutions in lifestyle and technology and Mid-term (5 years) that looks at socio-cultural developments to the short term (2 years) that considers contemporary trend-setters– individuals, processes, groups, and events. What is ordinarily referred to as “trends” are usually composites of various factors, influences and behaviors. Most importantly, consumer behaviors are based on changing consumer values and desires. 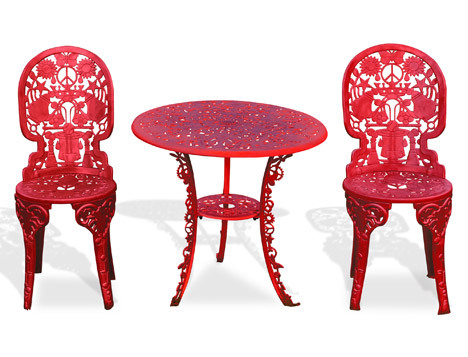 These constantly shifting influences form the basis of our design trends. 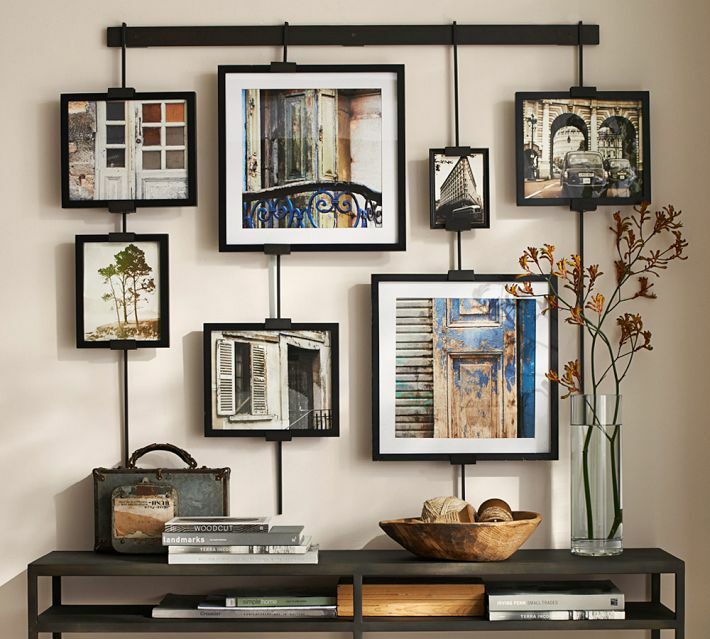 Interior style trends are nothing more than visual interpretations of core consumer behavior trends. 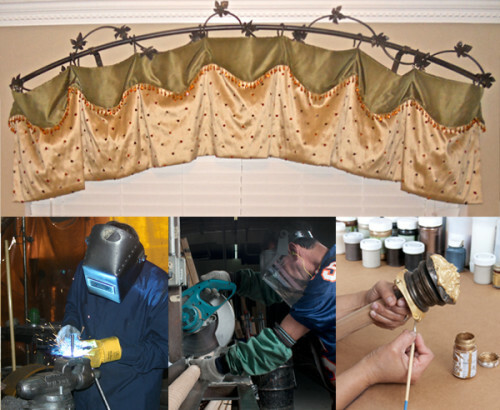 “Made in America” is one of those consumer behaviors manifesting into home décor trends including decorative drapery hardware. Whether out of a sense of patriotism, a desire to help the American economy or the belief that U.S.-made products are of better quality, consumers increasingly want to see a “Made in the USA” sticker on the items they buy. Retailers and manufacturers are happily responding. Last year, General Electric began making some of its water heaters and refrigerators at U.S. factories. Wal-Mart announced plans in April to buy an additional $50 billion of American-made products over the next decade, and Orion is fabricating decorative drapery hardware 100% in the U.S. . “Made in Americ”a once embodied ruggedness and a kind of strait-laced patriotism, but recently it has morphed into a symbol of artisanal design and environmental sustainability. Fueled by a renewed enthusiasm for items sourced and produced in the U.S this locavore-tinged version of Made in America is gaining steam. 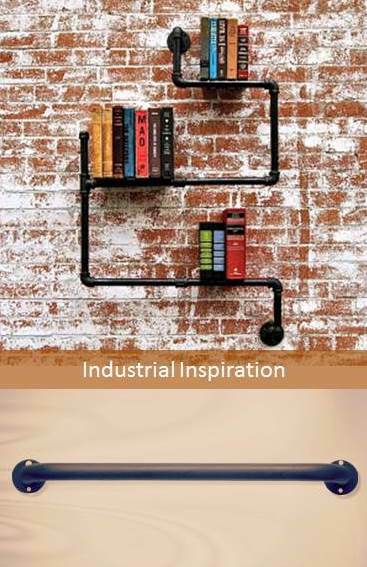 There is even a startup website selling only American made goods. Dave Schiff, the founder of Made Collection, believes that the Made in the USA trend has acquired a cachet among consumers and the trend is a beacon for old school craftsmanship and luxury. Americana chic is going mainstream. There is a shift in our culture where creative entrepreneurs are defining a new American economy. All across the U.S., people are choosing Main Street over mini-malls—supporting the local and the handmade. Makers are sparking this change by taking a leap, banking on their creativity and craftsmanship, and living their version of the American dream. At Orion, our team of designers, skilled artisans, and crafts persons create a wide range of decorative drapery hardware and accessories in over 50 beautiful finishes. 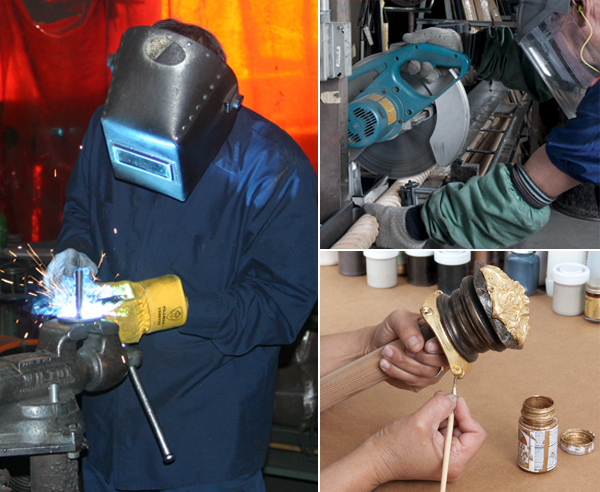 We’re especially delighted to work with you on projects that require custom design, custom parts, or a one-time fabrication task. 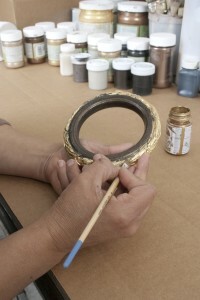 That’s because from idea, to manufacture, to hand-painting, it’s all done at Orion, by Orion, just for you. We are always proud to say “Made in the USA”. This entry was posted in The Makers and Artisans and tagged cedorative hardware, drapery hardware on July 22, 2014 by orionIronArt. 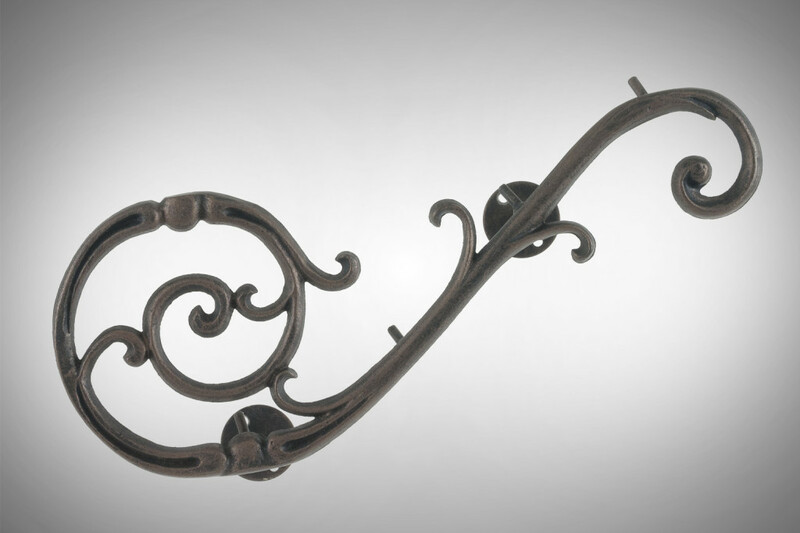 3D Drapery Hardware has won ADEX’s 2014 Silver Award for Design Excellence. It has also won WCMA’s 2012 Award for Most Innovative Overall Concept. 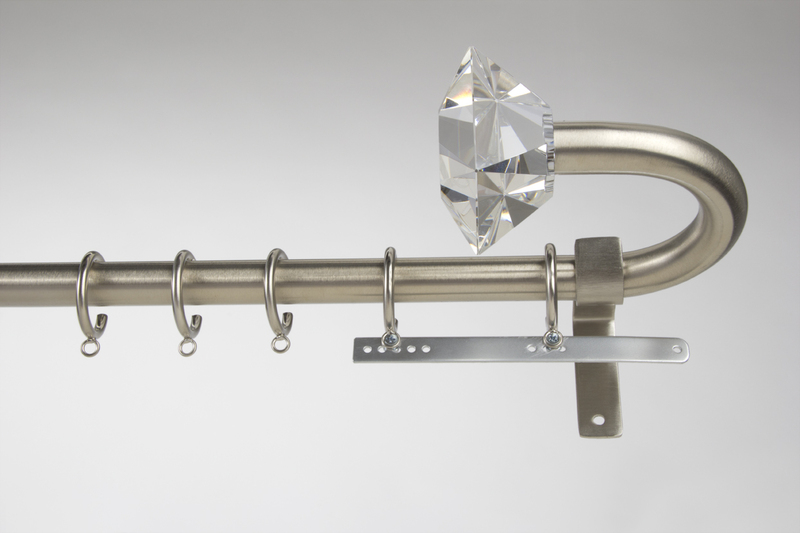 3D Drapery Hardware allows you to have the finial in front of the rod. 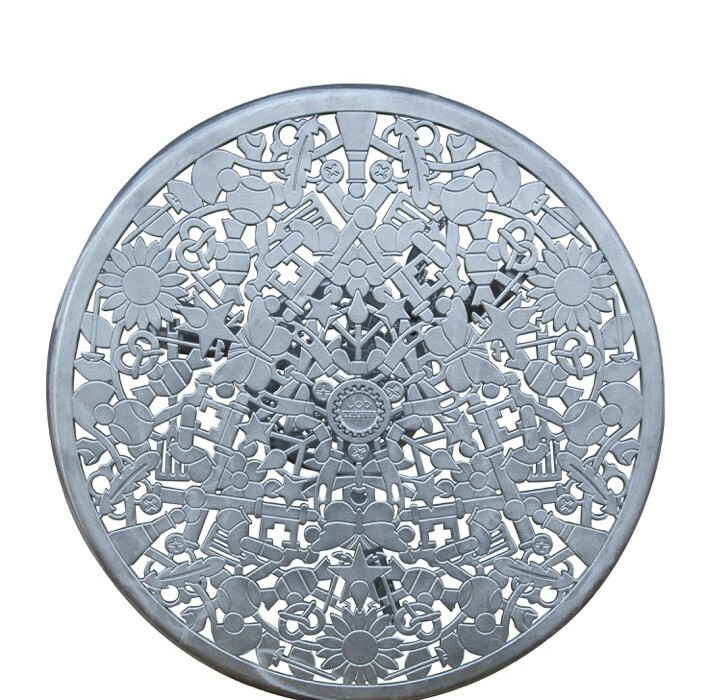 This system is great for tight areas where you may not be able to fit the finial otherwise. 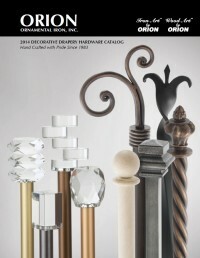 Finials can also be manually adjusted to be above or below the rod to enhance the window covering presentation. 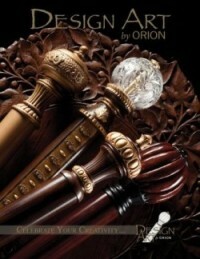 Nearly all of Orion’s finials are available for use with the 3D system. 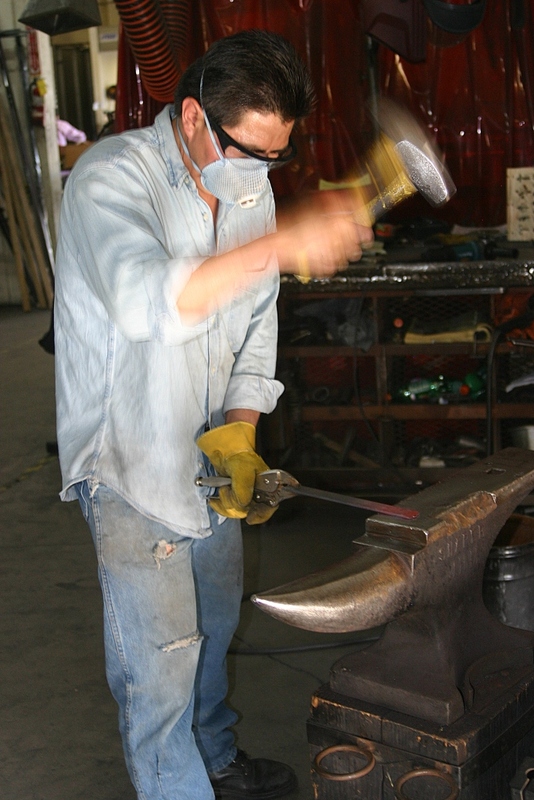 Rods are 1” diameter in either round hollow smooth (Iron and Italian) or hammered styles (Iron only). Choose from 35 Iron Art™ finishes, 5 Italian finishes, or your own custom finish. Some of you have requested this, and now we’ve developed it! Our beautiful Bohemia Crystals on wood have won WCMA’s 2014 Best Style Concept Award. 14 finial designs fit 1-3/8”, 2” and 2-1/4” wood poles, while two end cap designs fit 1-3/8” wood poles. 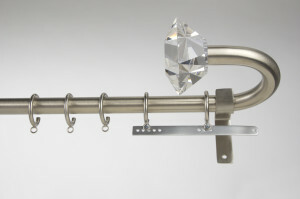 A finished metal collar creates a transition between the pole and finial, and brings out the sparkle in the crystal. We offer smooth, fluted or rope style poles in 11 gorgeous Wood Art™ and 35 Iron Art™ finishes. 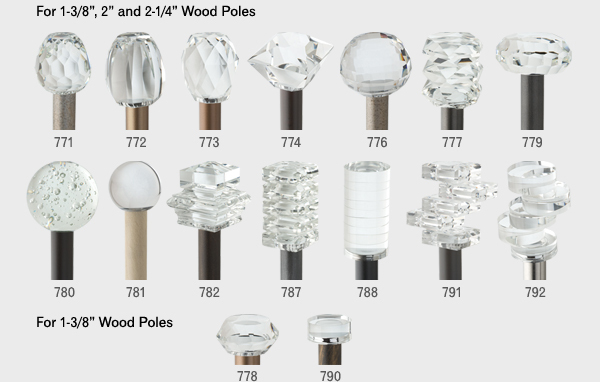 Below is a list of Bohemia Crystals available on wood. Our latest product development is Deco Lite Traversing – a lightweight, contemporary traversing system that creates a sleek and modern look with its crisp straight lines. It has won WCMA’s 2014 Best Style Concept – Honorable Mention Award. 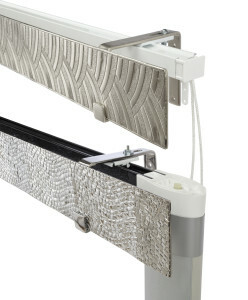 Deco Lite Traversing can be finished in our 6 Italian or 35 Iron Art™ finishes, and can be used with both manual or Somfy motorized traversing options. 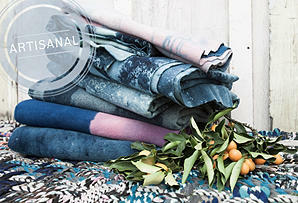 Look for product launch information in the next few months! 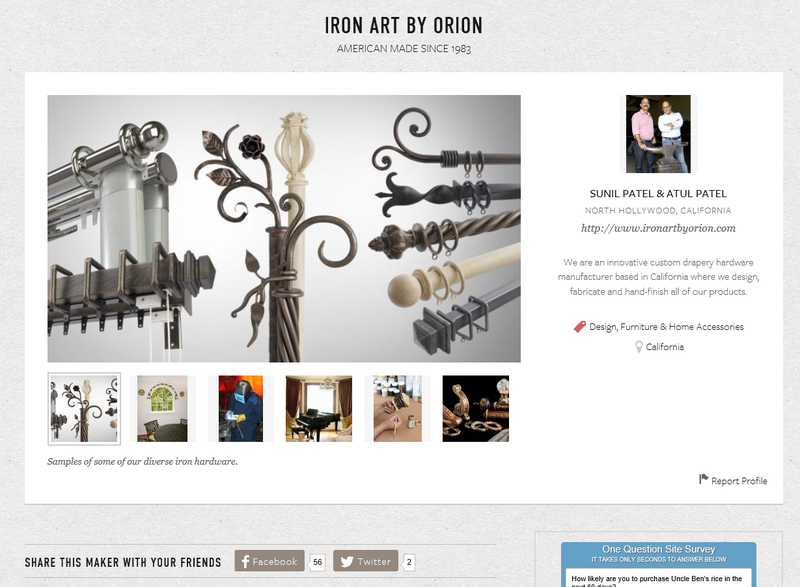 This entry was posted in The Makers and Artisans on July 14, 2014 by orionIronArt. I have been at Brimfield this week. 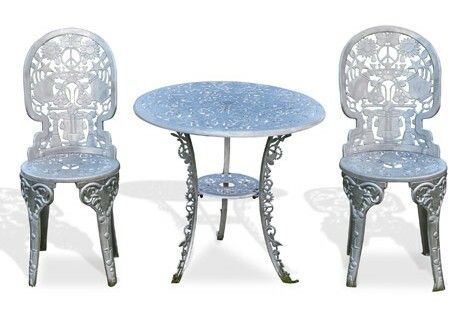 Brimfield, arguably the country’s largest antique show and flea, was all I expected and more. You would think that being held in western Mass. that you’d see a lot of traditional and Early Americana, but I was struck by the amount of industrial salvage and upcycled pieces. Nothing like spotting a trend and capitalizing on it. 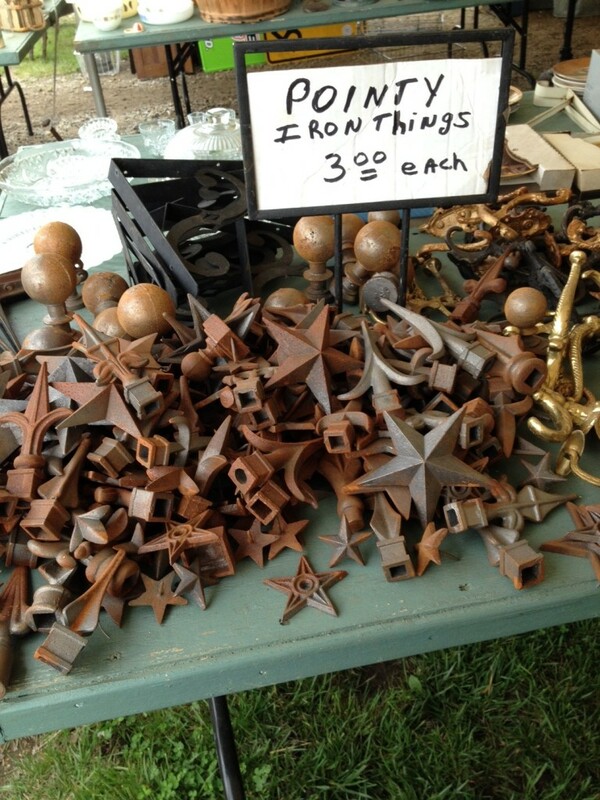 As I walked the 21 shows- within- a- show down the main street of Brimfield, I got loads of iron inspiration. Who says drapery rods have to go on windows? Not only could they be used to create the shelving unit shown above and the picture gallery below, but why not towel bars in the bath? 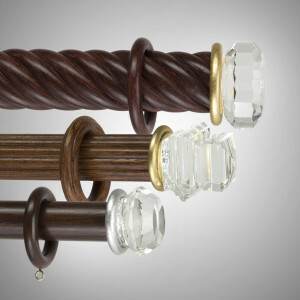 Shower curtain rods? There were dozens of tents hat had lamp parts, chandelier fittings, serveware embossings and loads of bits and pieces that could be used to create crown pieces, finials, and brackets or the cornices below. 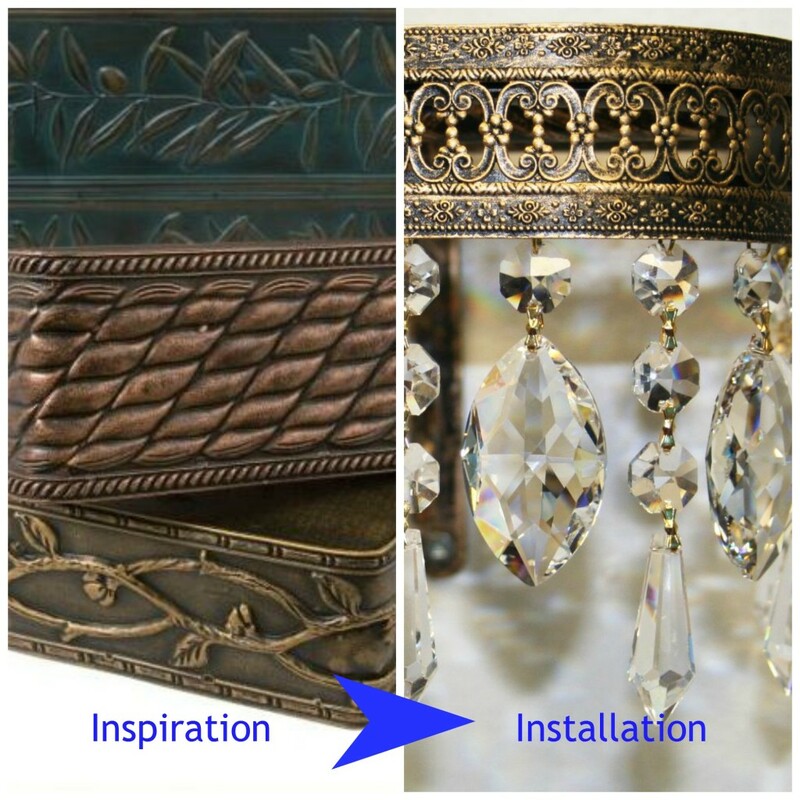 The common thread here is that no matter what kind of taste you have- vintage chic, traditional with a twist, formal French- custom drapery hardware can turn the ordinary into the extraordinary. 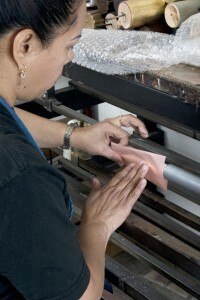 If you are looking for a partner in customization, visit our website to see that we can help you with. 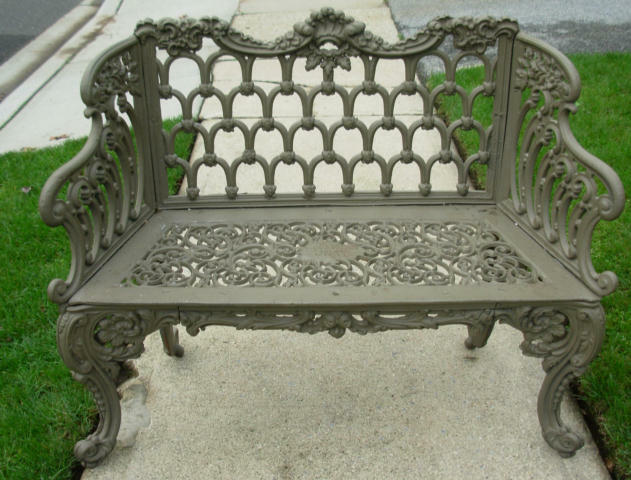 This entry was posted in The Makers and Artisans on May 16, 2014 by orionIronArt.